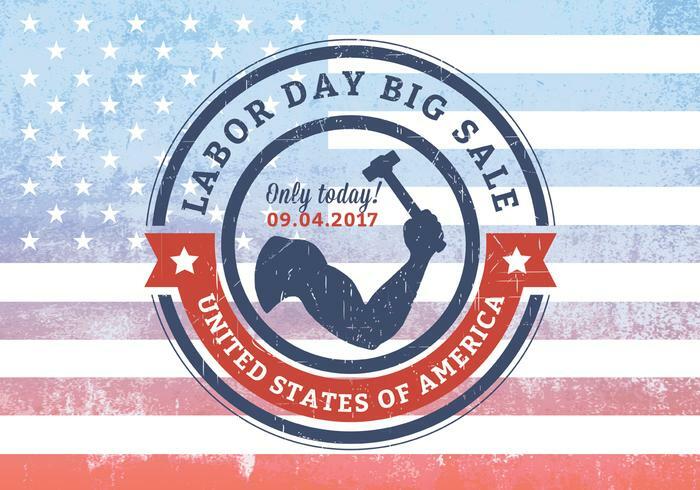 USA Labor Day Big Sale Grunge Rubber Stamp PSD - Free Photoshop Brushes at Brusheezy! USA Labor Day big sale grunge rubber stamp isolated on painted flag PSD background. With editable text.